HELSINKI, Finland – The Finnish bicycle market has been very steady in 2013 and continued the trend already seen in the previous years. There’s a growing interest in better and more technical bikes. With import figures available from January – August 2013, and not much happening in autumn as the rest of the year is dark and cold in Finland; bike sales for the whole of the year can be estimated with great accuracy. The total market is on par with the 2012 level. And there’s hardly a surplus of stock at distribution channels. But, despite this stable situation lots of changes took place in the Finnish bike market. One of such changes is the fact that sales of medium priced city bikes, which used to be the bread and butter for most dealers, has been slow. In particular the sales of bikes retail priced between 350 and 600 euro has been affected. This is completely contrary to what happened with hi-end branded bikes targeted to active and demanding cyclists. Sales of such models increased. This market development towards higher priced bikes is confirmed by import statistics. They indicate that the average value per imported unit increased by about 10% in 2013. 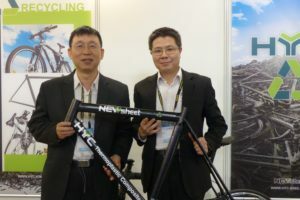 Sales of road race bikes is also increasing as features like carbon and electronic shifting fuel the interest of this technically oriented group of consumers. MTB sales is boosted by 29ers which refreshed the interest in this category in general. Also sales of cyclocross and xc-bikes are florishing as these models are used for training and commuting in winter time when fitted with mudguards and spiked tires. The growing demand for higher priced sports bikes has its effect on distribution too. 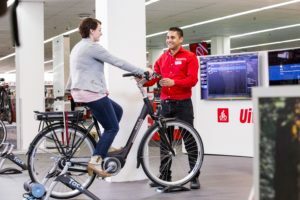 Specialized dealers with the neccessary knowledge on the latest features that can effectively serve consumers willing to pay 1,000 euro or more for a bike, are doing well. Mass market distributors selling cheaper bikes performed like in 2012. 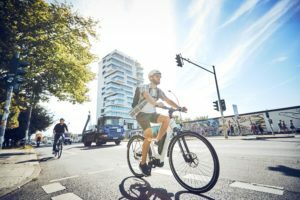 With all this the polarization of the Finnish bike market continued; IBDs profit from a growing number of active cyclists and mass market distributors target consumers looking for lower prices. 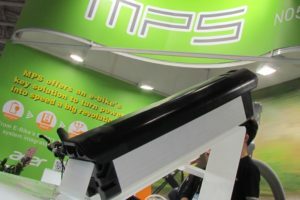 Dealershows held last September by all major brands and suppliers indicate that dealers are cautious and ordered smaller quantities compared to a year ago. This despite the fact that all market fundamentals are positive. Consumers are interested in biking and are even looking for better and more expensive bikes. But they are not willing to pay more for electric bikes. E-bike sales in Finland have yet to take off. This is confirmed by import numbers. In the first eight months of 2013 only 1,327 e-bikes were imported into the country; 0.6% of all bicycle import. 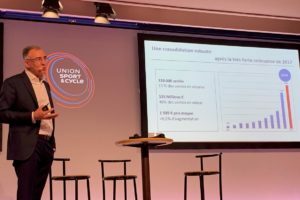 According to dealers consumers complain that e-bikes are too expensive. Currently most electric bikes are offered with retail prices ranging from € 1,400 – € 1,800. And there are even models offered for € 399. E-bikes are also struggling in Finland with an image problem, as they are regarded to be for the elderly or disabled. Despite all efforts by dealers like demo days and test rides, nothing seems to spark sales yet.